It is our honor and privilege to serve nearly 5,000 children and adults with intellectual and developmental disabilities, and their families, through a range of fully customizable service lines. Our mission is to build independence for people with intellectual and developmental disabilities….and their remarkable abilities. It is our guidepost as we seek to innovate, to create contemporary services through social entrepreneurship and an unwavering commitment to the people we serve. At The Resource Exchange (TRE), we strive to be relevant, responsive, innovative, and transformative. We offer an array of lifespan services available for children and adults with intellectual and developmental disabilities. 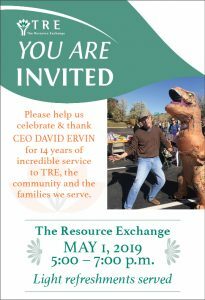 The Resource Exchange (TRE) is a state designated Community Centered Board (CCB). At TRE, we believe in a person centric approach where the person receiving our services and their families, are at the center of all we do. TRE services include developmental disability determination, eligibility determination, enrollment into Medicaid or State General Fund programs, service plan development, and arrangement for services, service coordination (case management) and monitoring of services received. 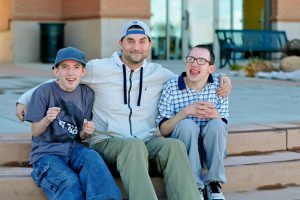 Home and Community-Based Services (HCBS) are made available by the State of Colorado through several funding Programs overseen by the Division for Developmental Disabilities (DDD), and administered by the CCB. Referrals for developmental disability programs with TRE come from a variety of sources including schools, doctors, agencies, friends, neighbors, family, self-referral or walk-ins. Contact our Navigation Department at 719-380-1100. 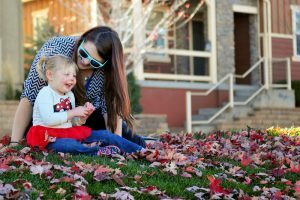 These services are funded with Medicaid (also known as a “Medicaid Waiver”) and State funds, and are available for eligible adults and children in Colorado. Services within each type of program are available to eligible, enrolled individuals based upon the identification and prioritization of individual needs. Services to address the identified needs are purchased from approved businesses and Program Approved Service Agencies, using Program funds available and as authorized through the individual’s Plan. For more information regarding the services funded through various programs that you are interested in, please review the programs and services offered through TRE. There are numerous Provider Approved Service Agencies (PASAs) and/or businesses who may deliver services you are interested in receiving. TRE staff cannot tell you which providers to use, only make referrals. A list of all local and statewide providers can be found here. Interested in becoming a PASA? 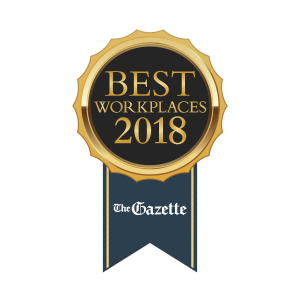 If so, click on this link to access the Letter of Intent to receive an application from the Colorado Department of Health and Environment. Completed and signed DDD Determination Application, required testing/medical records and verification that the disability occurred prior to the 22nd birthday. Proof of legal residency, such as a birth certificate or social security card. Guardianship papers, as applicable, for those over the age of 18. Medicaid and/or Medicare card (if applicable). Proof of social security or denial if present. Psychological Evaluation or IEP that includes IQ testing. Acceptable testing could include WISC, WAIS, Stanford-Binet, K-BIT, K-ABC, TONI, UNIT, WPPSI, and Leiter. Also submit adaptive behavior testing (such as the Vineland Adaptive Behavior Scales) if it is available. A school triennial IEP will usually contain test scores. If you have copies of the most recent IEP, as well as one that lists test scores, please forward them to the Navigation Services Department; this will speed up the eligibility process. Many times IEPs can also act as verification that the disability occurred before the age of 22 for those clients who are no longer in school. If you are applying for a child between the ages of three and five, please include medical records and therapy reports which list all diagnoses and/or delays; IQ testing is not needed until after age five. Early Intervention serves families who have a child under three years old who has a significant delay in their development. We partner with our local school districts to determine eligibility and then deliver services in the child’s home. Assistance is provided to connect the family to funding and providers of the needed services. The Home and Community Based Services Waiver for Children with Autism (HCBS-CWA) is a program for children ages birth to 6 years that have a medical diagnosis of Autism. The intent of the Autism Waiver program is to provide intensive behavioral supports and services to young children with Autism. The Autism Waiver allows children access to Medicaid services who may not otherwise qualify for Medicaid State Plan Benefits as well as providing funding to purchase specific services which are not covered under the Medicaid State Plan. It should be noted that there is a lengthy statewide waitlist for these services. To learn more about CWA , visit the Health Care Policy and Finance website. Children’s Extensive Support (CES) services are provided through the Medicaid Home and Community Based Services (HCBS) CES Waiver offers support for children who are living at home and have significant needs related to their developmental disability. The CES Waiver allows children access to Medicaid services who may not otherwise qualify for Medicaid State Plan Benefits as well as providing funding to purchase specific services which are not covered under the Medicaid State Plan. To learn more about CES, please visit the Health Care Policy and Finance website. The Children’s Home and Community-Based Services Waiver (CHCBS) is available for children with significant medical needs and who are at risk for institutional care in an acute hospital or skilled nursing facility. To learn more about C-HCSB, please visit the Health Care Policy and Finance website. 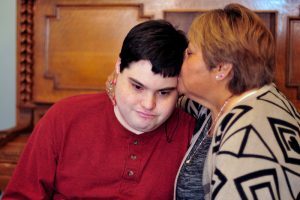 The Family Support Services Program (FSSP) provides support through state general funds for families who have children with developmental disabilities or delays with costs that are beyond those normally experienced by other families. The primary purpose of the FSSP is to support children with developmental disabilities or delays remaining within their own nurturing family setting and prevent out-of-home placements.” To learn more about FSSP, please visit the Health Care Policy and Finance website. 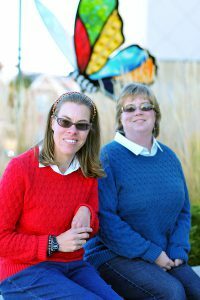 Supported living services (SLS) are provided through the Medicaid Home and Community Based Services (HCBS) SLS Waiver. This program provides a variety of services and supports for adults living in their own homes or with family in the community. The HCBS-SLS waiver promotes individual choice and decision-making through the individualized planning process and the tailoring of services and supports to address prioritized, unmet needs. In addition, this waiver is designed to supplement existing natural supports and traditional community resources with targeted and cost-effective services and supports. Participants do not require 24 hour supports or services. The State of Colorado Joint Budget Committee has approved funds to significantly reduce and/or end the waitlist for Supported Living Waiver services (SLS), effective Fiscal Year 2014-2015, via HB14-1336 To learn more about SLS, please visit the Health Care Policy and Finance website. The Home and Community-Based Services Waiver for Persons With Developmental Disabilities (DD) provides access to 24-hour, seven days a week supervision through Residential Habilitation and Day Habilitation Services and Supports. This service is commonly known as Comprehensive services. These services can be delivered in the family home, individual settings, group living settings, etc. There is an extensive waitlist for these services. To learn more about HCBS-DD, please visit the Health Care Policy and Finance website. Are you interested in making a referral for a child or learning more about these services? In order to obtain services through The Resource Exchange, there are multiple steps you must complete to determine various requirements of eligibility. Our Navigation Department will be assisting you through the process. Our goal is to complete this process in 90 days, however timelines are dependent on how quickly documents and approvals come from yourself, your physician and outside agencies . The Resource Exchange works with such as the Department of Human Services and Health Care Policy & Financing. If you are on another Home and Community Based Services waiver such as the Elderly, Blind, and Disabled waiver (EBD), that waiver will end once you start the SLS waiver. If you are currently enrolled on the EBD waiver, please click here to review the SLS-EBD Comparison Quick Reference. It compares the benefits between the two waiver programs, and can assist you in determining which waiver program may best meet your needs. If you receive Home Care Allowance (HCA), it will end once you start a Medicaid waiver. If you are receiving CNA services as a part of your Medicaid state plan, you can continue to receive these services to address your skilled care needs in most waivers, but not all. Functional Eligibility: A Navigation Coordinator will complete an In Home Assessment to determine functional eligibility, which is the need for Long-Term Care services. Before this can be scheduled, we will need Professional Medical Information Page (PMIP), to be completed by your doctor, to certify that services are needed. Financial Eligibility: During the home visit, the Navigation Coordinator will also complete an application for Long-Term Care Medicaid as you must be determined financially eligible for services. The application will be submitted to the Department of Human Services and can take up to 45+ days to process. Additional Approvals: Depending on the service you are applying for, there may be an additional application to complete to ensure that targeted criteria is met for that particular program ( for example, Social Security). The additional applications are required to be submitted for review by an outside entity for approval/denial and can lengthen the intake process. After receiving a referral, a TRE Navigation Support Coordinator (NSC) will be your point of contact throughout this process. They will contact you and talk with you about your needs, your desired services, and next steps. If you feel you will not meet the eligibility requirements the NSC can refer you to appropriate resources or options to meet your needs. If you decide that you would like to apply, we have the responsibility for determining whether the applicant has an intellectual or developmental disability. It is important to note that there was New criteria regarding DD determination released by the Colorado Division for Developmental Disabilities (DDD), effective August 1, 2013. Referral: Your Enrollment Coordinator will complete a Referral with you that would go to Provider Approved Service Agencies (PASAs) and/or businesses who will deliver the services you are interested in receiving. TRE staff cannot tell you which providers to use, only make referrals. A list of all local and statewide providers can be found here. Additional Assessment: For Adults, the Support Intensity Scale (SIS) Assessment is required to be completed to assist with Service Planning and determining the level of funding for services. Initial Service Plan Meeting: Your Enrollment Coordinator will meet with you, your provider of choice and any others you’d like on your Team to create your initial service plan and get services started. Note: if there is a waitlist for services, you will not move onto enrollment until funding is available. See wait list information below. Please see our TRE Services Packet Handbook 2019 for information on what to expect, how we are funded, complaints, critical Incidents, acronyms, participants Rights and more! Once you are enrolled, you will be assigned a Service Coordinator who will help identify your unique strengths and ways to enhance those strengths. Our Service Coordination Department’s goal is to provide an individually-centered, family and community focused service in which programs and resources are coordinated to enhance your life. Your Service Coordinator will assist in providing targeted services and supports that will establish a long-term foundation for family and community inclusion. Individuals can be placed on the waiting list for adult programs at age 14 and people are urged to do this if they are not already known to a Community Centered Board. The date of eligibility is used to determine a person’s place on the waiting list within the three timeline options listed below. A person keeps his or her eligibility date even with a move throughout the state of Colorado. A person loses eligibility date and placement on the wait list if he or she is out of the state for a year or more and without a close family member remaining in the state. Enrolled into programs for which they were waiting. No longer needs the programs for which they are waiting. Individual requests to be removed from the waiting list. Placed onto a waiting list with another Community Centered Board. No longer meets eligibility requirements. An contact cannot be made with the individual. As Soon As Available: The program is needed right now and would be accepted as soon as it is available. Safety Net: The person does not currently want or need the services available through the program but will if current supports are lost or otherwise change, e.g. loss of primary caretaker, change in medical status. Specific Date: The person wants to enroll in a program when a specific date is reached, e.g., date when he/she turns 21, date of graduation. If a date is selected, the program will not be offered before that date but this does not ensure that the program will be offered by the date selected. For example, the date of the person’s 21st birthday is selected as the timeline. The Community Centered Board would not offer enrollment in the program and remove from the wait list prior to that date. If that date passes and enrollment in the program has not been offered, the person/family would need to select a new wait list timeline. These can be changed at any time and should be reviewed annually either at an annual plan meeting or by phone call. A person can be waiting for one or more programs at the same time with same or different timelines but can only be on the wait list with one Community Centered Board. Offering Programs to Individuals on the Wait List: There is no set number of people who come off the wait list each month, quarter or year. 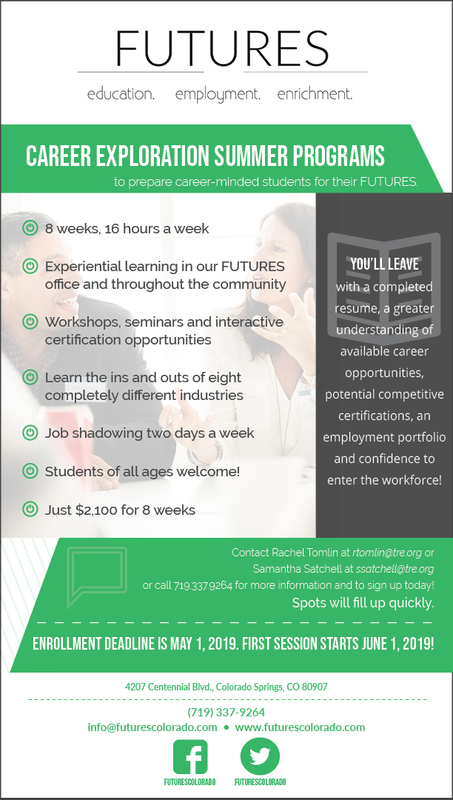 Individuals are offered enrollment in a program based upon new “resources” or openings allocated by the State and upon vacancies created by individuals who have left the program. Each Medicaid Waiver Program has a statewide cap or the maximum number of people who can be served in the Medicaid Waiver at one time. In addition, each Community Centered Board has a maximum contract number of individuals who can be served at one time each Medicaid Waiver. The Community Centered Board cannot serve more individuals than the number of individuals that is in their contract with the State for any of the Medicaid Waivers. Community Centered Boards like TRE do not have control of new “resources” or openings from the State. Those are appropriated by the Joint Budget Committee. Because of that, and emergent situations, we can’t begin to estimate how long someone may be waiting. It is important that you keep us informed of any change in your family’s situation as emergent situations arise. In emergent situations, there may be criteria met that would enable an individual to “jump” ahead of others on the wait list due to the emergency. Community Centered Boards do currently have some control, in some programs, of enrolling individuals from the wait list into vacancies created by an individual leaving a program and terminating. TRE will offer enrollment in a program to individuals to fill these vacancies based upon eligibility date and wait list timeline if there are no individuals waiting who have met the emergency criteria. Declining Enrollment in a Program: If an individual does not enroll in a program when offered, he or she retains the date of eligibility and may be asked to identify the appropriate status for when enrollment in the program is desired. A person does not go to the bottom of the waiting list if enrollment in a program is declined. Maintaining a timeline of ASAA after enrollment in a program has been declined in most cases will not be allowed.